If you’re looking to discover something different, look no further than Papparoti café in the Quartier des Spectacles. 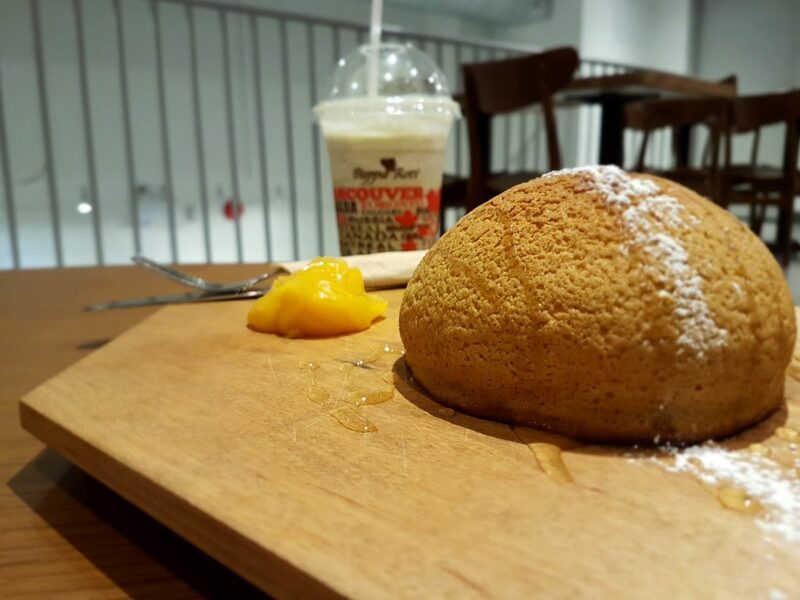 Papparoti serves Malaysian style roti buns, light as pillows with a crispy outside and fluffy interior that you’re sure to fall in love with. While the chain started in Malaysia in 2003, it has now expanded worldwide, with the latest edition coming to Montreal in May 2017. 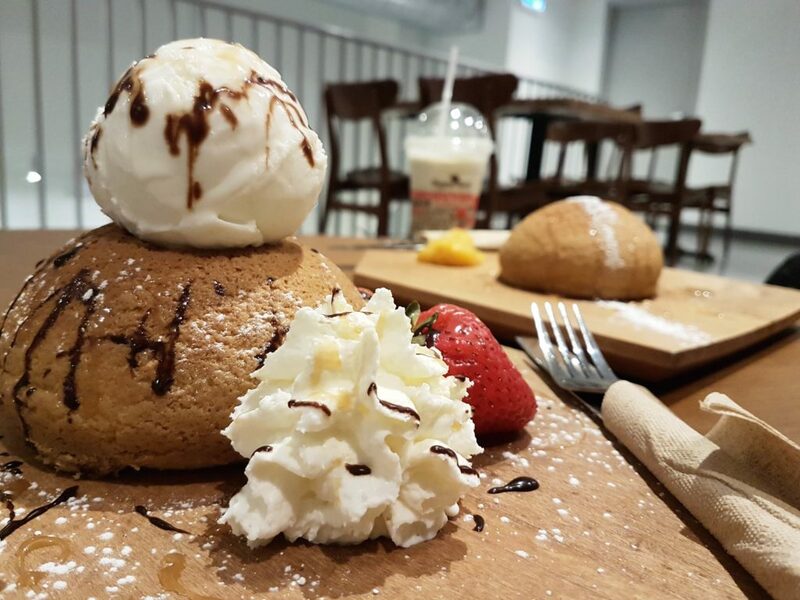 We were invited to Papparoti to try out their original coffee bun, and we discovered a little about this South East Asian treat along the way. Roti is an unleavened bread cooked on an iron griddle, Papparoti Bakery in Malaysia transformed the roti into a roti bun, delving away from the roti as a flatbread. The buns are best when hot out of the oven, their surfaces coated with sweet caramelized coffee caramel cream and salty butter in the center of each bun. If you like sweet n’ salty this is the dessert for you! 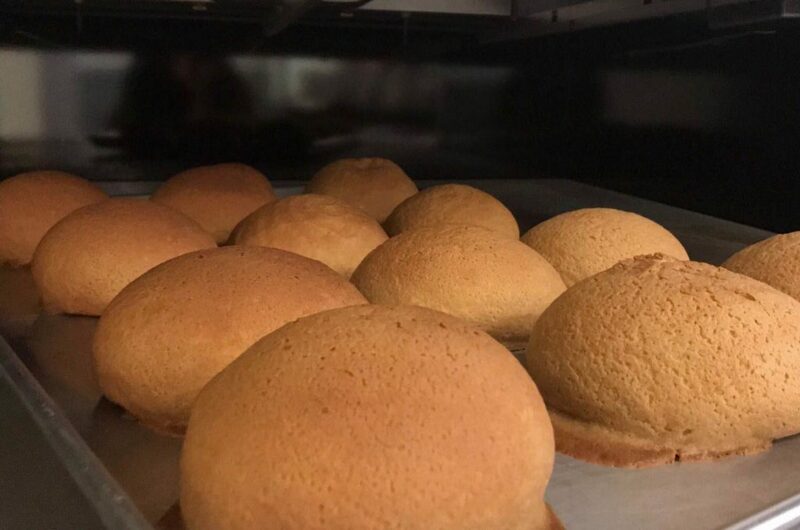 Besides their infamous buns, Papparoti also serves sandwiches, salads and soups, as well as pastries for dessert, but you can’t leave without trying one of their buns! 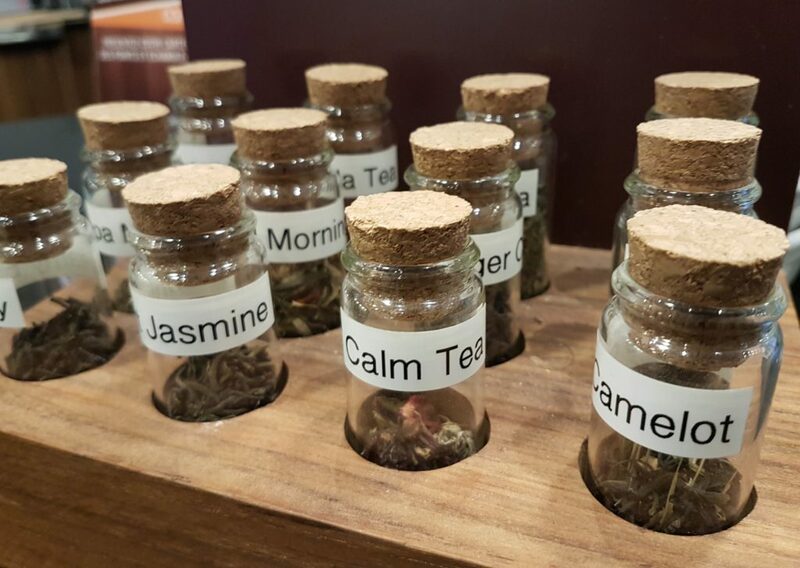 All their teas are organic and can be made as a hot drink or into a refreshing iced tea. We tried the honeyberry organic iced tea and loved it! It was refreshing and crisp, with a hint of blueberry. The matcha frappe is a must for matcha fans. A cool minty colour, the matcha flavour wasn’t overwhelming and it was velvety smooth. Papparoti is also a café, they serve a variety of coffees, hot chocolate and smoothies. Papparoti has a variety of buns including maple, banana, peanut butter and jam and more. Diva #2 loves strawberry shortcake so we tried the strawberry fields coffee bun. 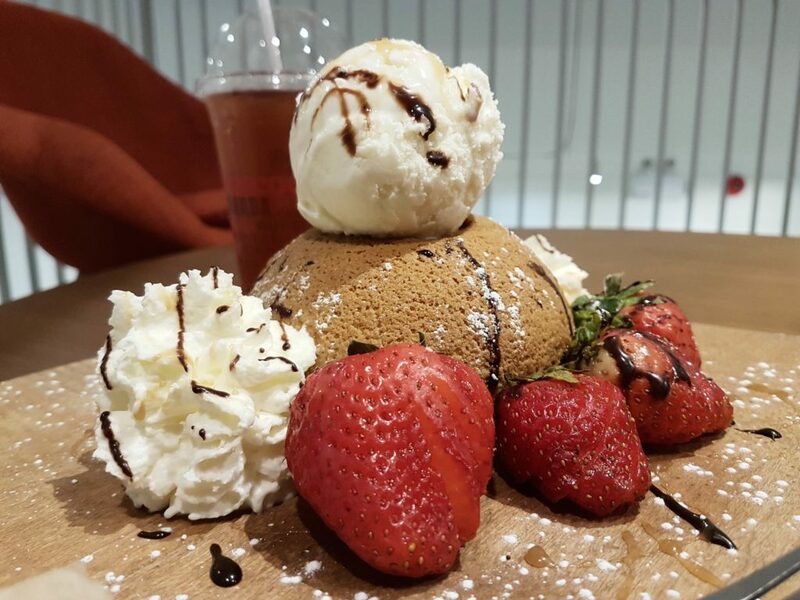 Usually, it comes with fresh strawberries and whip cream but one one visit, Papparoti also included a scoop of vanilla ice cream for good measure! The buns are light and airy with a crisp outer shell while the interior is soft. Matched with the sweet and tart strawberries and a little bit of whip cream, it tasted exactly like a strawberry shortcake! We also tried the Crazy for Kaya coffee bun. This is for the coconut lovers as Kaya is a coconut jam. Made with coconut milk, eggs, and sugar, Kaya is a dense and rich spread that is not too sweet. It made for a perfect bun that was enhanced by the drizzle of honey over the coffee bun. The coconut flavour complimented the coffee bun very well. This was a lighter dessert than the Strawberry Fields bun! Papparoti also offers gluten free pastries, and other treats! The bun has a great contrast of textures with the crisp exterior and fluffy interior that we’re sure that you’ll love.